Mar 04, 2016 Last year Denmark got its first female leader for the confederation of trade unions, and Norway got its first female chief justice of the supreme court. There are still a few positions of power not yet held by a woman among the 24 which the Nordic Labour Journal measures. But the only position never held by a woman in any Nordic country is commander-in-chief. 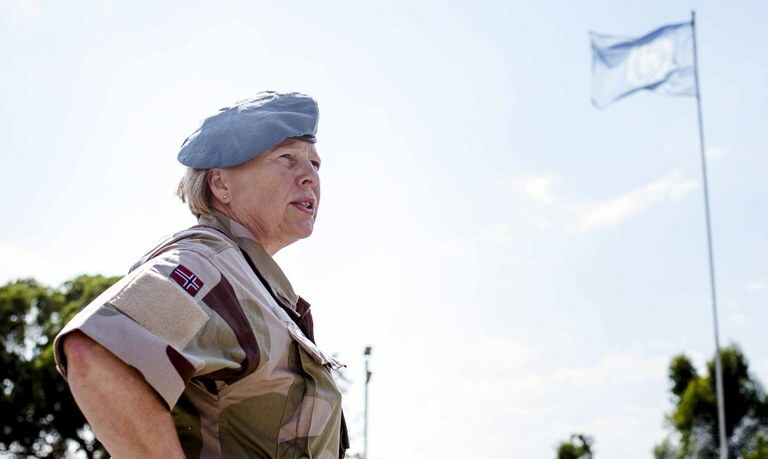 Mar 04, 2016 Major General Kristin Lund from Norway is the UN’s first female commander of a peacekeeping force. She believes there will be a female commander-in-chief in one of the Nordic countries within four years. Mar 04, 2016 Since last year’s barometer there has been a change of government in Finland and in Denmark. Both resulted in governments with fewer female ministers. As a result Nordic gender equality falls by three points to 64 points. Behind the seemingly slight loss, women particularly in Denmark are facing a real setback in the fight for power. Mar 04, 2016 Sweden’s feminist government wants to use its foreign policy to promote women’s and girl's rights, representation and resources based on the reality in which they live. What exactly a feminist foreign policy means is hard to define, but the perspective should permeate everything the foreign ministry and the diplomatic missions to. Mar 04, 2016 There is only one position of power in the Nordic Labour Journal’s gender equality barometer which no woman has ever held in a Nordic country – the commander-in-chief for a country’s armed forces. And while women have been absent in war, they have been equally ignored in peace negotiations and peace keeping missions.